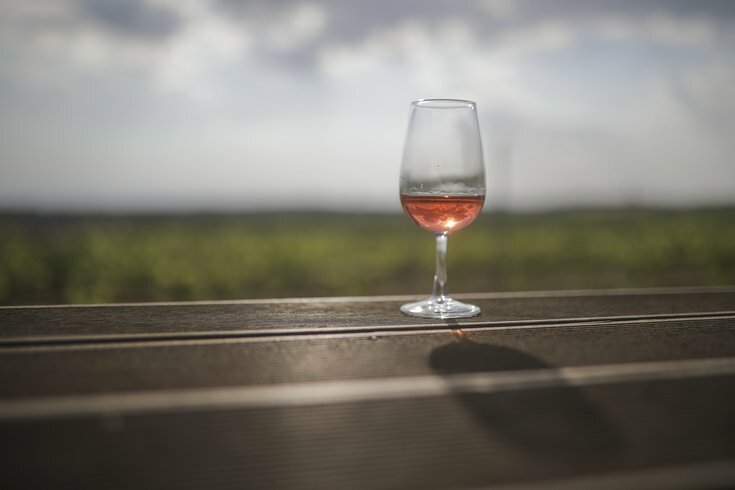 Photo taken on May 26, 2018 shows a glass of wine at a vineyard. On Saturday, June 16, Peddler's Village in Bucks County is inviting wine drinkers on a California Wine Stroll. Walk the brick pathways, past boutiques and landscaped gardens, to three stops, where there will be different wines from The Golden State to taste. In total, there will be 15 hand-picked selections from California. The first stop will feature white wines, while the second stop will be all about red varieties. The final stop will have a unique lineup – there will be a port, a canned rosé, a white zinfandel and an inky, purple wine. Tickets for the outdoor event are $44 per person and are offered for three separate sessions: 11 a.m., 3 p.m. or 5 p.m.